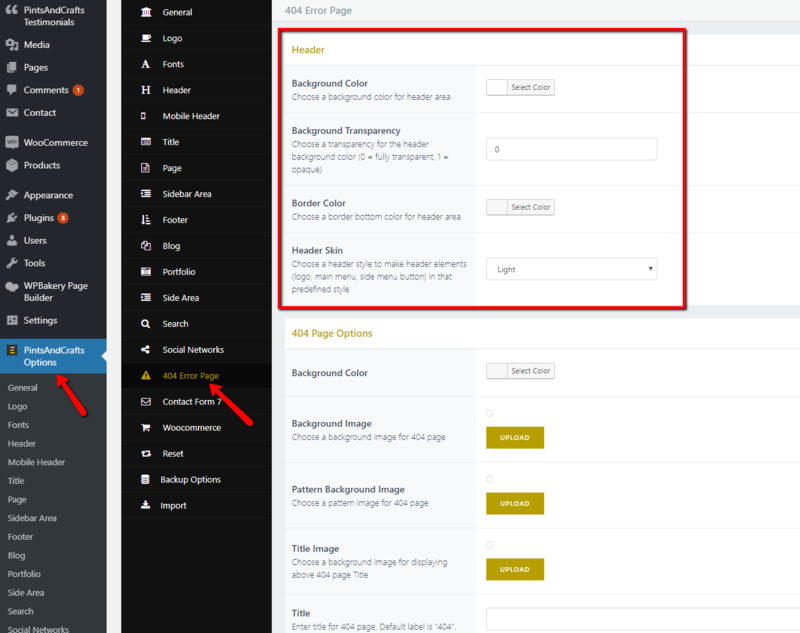 One problem is i can't see where to redirect it to a specific page or how to edit the header and options. Please advise. Apologies about the belated reply - we have been getting a lot of tickets lately, and our reply times have not been as fast as we would have liked. Unfortunately, there is no option to add some link on 404 page that can redirect to a specific page. When it comes to header options of 404 error page, you can edit it through Pints&Crafts Options > Header. These are Global Options. Also, you can make some changes in Pints&Crafts Options > 404 Error Page, and these options will override global options. Also, for any other issue you are facing please feel free to ask us and we will assist you as soon as possible. We will give our best to help setting up your site.